It’s hard to be anything other than a VR skeptic if you haven’t been lucky enough to bag a developer kit or try a headset on for size at an event. To counter that problem, Oculus will start demoing Rifts at 48 Best Buys across the US this weekend. Planning your own future with the Rift? Here are the best VR games on PC. Sounds good! Only, if any Best Buy customers are enthralled enough to exchange money for a new Rift, they’ll actually get their headsets before some of those who pre-ordered from Oculus. Although the Rift was officially released on March 28, component shortages have led to lots of delayed deliveries. A subset of pre-order customers are still waiting, even as headsets are shipped out to supermarkets. Oculus do seem to be aware of the issue. They say that Best Buy stock will be “extremely limited” while they catch up on pre-orders. 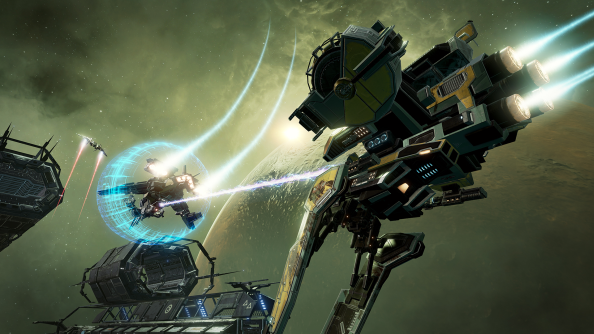 “We know that many pre-order customers are still waiting for their Rifts, so we’re offering those customers a chance to purchase Rift from retail instead – while keeping their pre-order benefits, like the EVE: Valkyrie Founder’s Pack and priority status for Touch pre-orders,” they write. So if pre-ordering Rift fans can get themselves to one of those 48 shops in the US – which, returning journalists report, is quite a big place – then they can have the headset a month and a half after its release. Order a Rift online today, meanwhile, and you’ll be waiting til August.Hrrm.Are you after your own set of goggles?